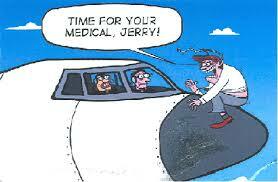 ...and its pilot must have a licence which is validated by a current medical certificate. However, there is no need to go trundling off to Gatwick, there is a CAA authorised Aeromedical Examiner (AME) in our region! Dr Justin Carter has been a PPL holder for more than 14 years, with his own plane based at Durham Tees Valley Airport. He is based at North Tees Hospital, Stockton-on-Tees and can provide Class 2 and LAPL medicals for balloon, airship and fixed or rotary wing licences. With a desire to 'give something back' to GA, he strives to maintain reasonable prices.